2019 Crestliner VT 17 DX with a 65HP Mercury 4-Stroke Jet motor. 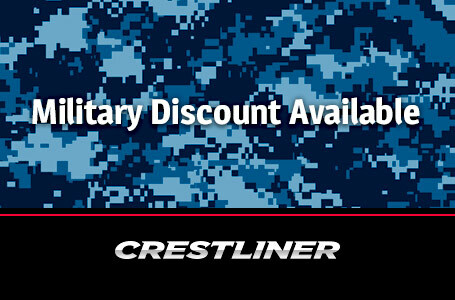 Receive a $500 rebate with Crestliner's Military Program. Proper documentation required. When it comes to aluminum bass boats, the VT 17 is a seventeen and a half foot fishing machine. 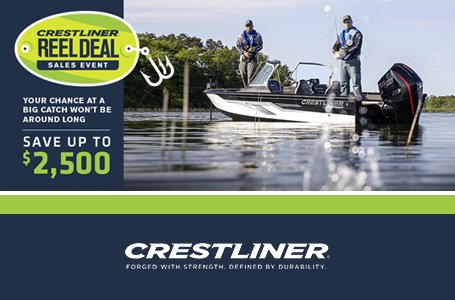 Expertly constructed with Crestliner's legendary all-welded aluminum hull and extruded full-length keel, this flat bottom bass boat is the perfect combination of durable, reliable, and lightweight. It's equipped with a feature-filled console that comes standard with a Humminbird® PiranhaMAX 4 color fish finder and multifunction black sterling gauges. 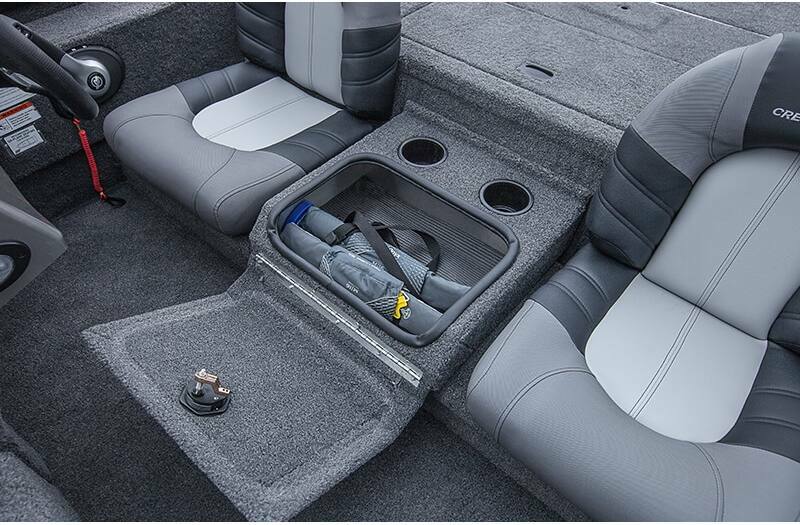 The VT 17 is perfectly outfitted for all-day fishing excursions including plenty of in-floor and under seat storage, a 22-gallon stern livewell, lockable port and bow rod/gear storage, and an ergonomic recessed foot control. 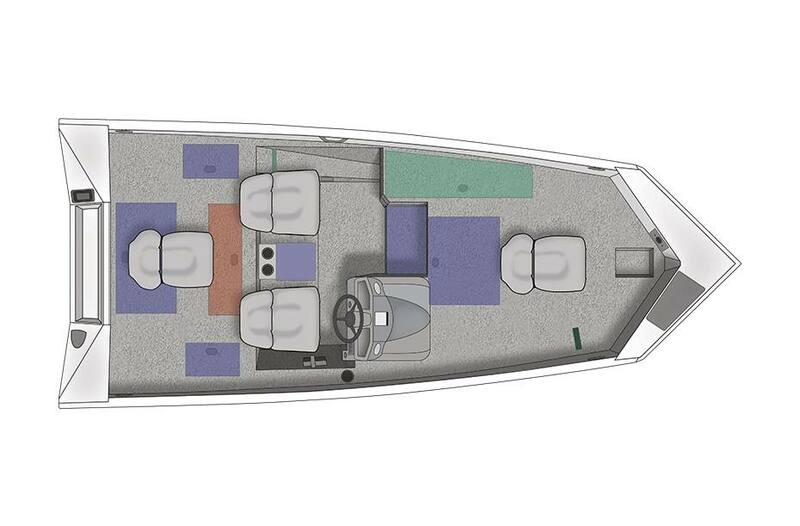 Regardless your skill level, the VT 17 is designed to give you confidence and comfort every time you go on the water. Bow Storage: Bring everything with room to spare. Big forward storage compartments keep the cockpit free of clutter. Ergonomic Recessed Foot Control: An ergonomic recessed foot control provides innovative, hands-free trolling from the bow-mounted motor. 22-Gallon Stern Livewell: A large casting platform with 22-gallon aerated livewell complete with timer is right where you need it, when you need it. Bow Casting Platform: With the VT's large casting platforms, you get all-day fishing comfort with the freedom to maneuver when a catch is on the line. 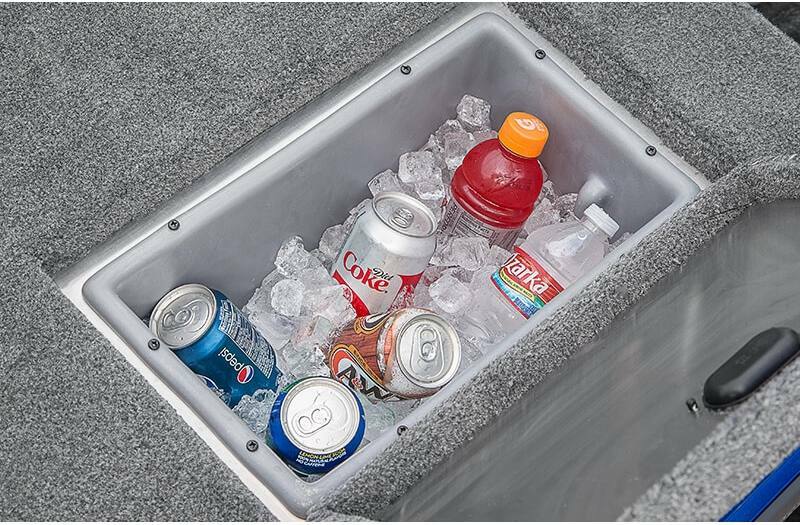 SureMount Gunnel Accessory System: SureMount aluminum accessory brackets and buttons allow you to slide your favorite accessories along the gunnel for perfect placement without drilling. 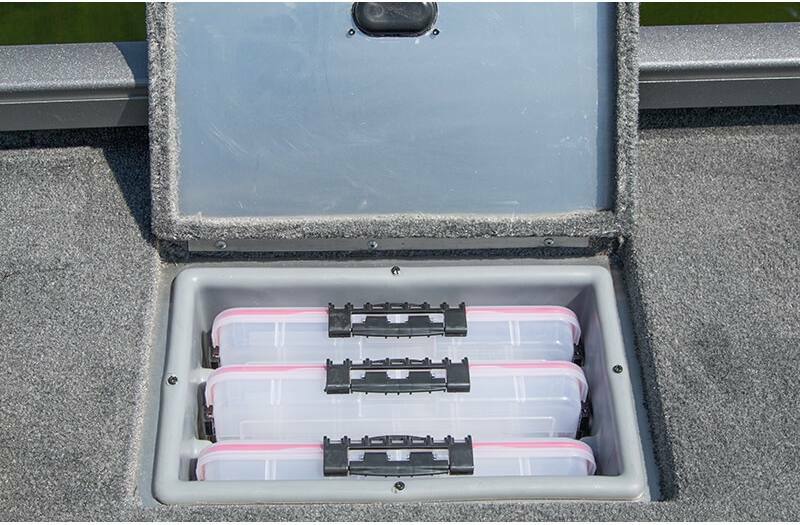 Rod Rack Inserts: Optional port rod rack inserts provide additional rod storage for all-day angling. Boat/Motor/Trailer Length: 19 ft. 11 in. Weight (Boat only, dry): 1,106 lb.